So finally finished it and I'm quite proud! After many, MANY and very sloppy design attempts I finally completed a very clean and hide-able semi auto tree harvester. (Well it's 10*11 and 7 blocks high) Yes 100% my design...(believe me if it wasn't I would of not taken this long to post it on here) plus the concept of pushing, pulling and then pushing something again, is nothing new. But that's another story... Feel free to hate if you like though! This is pretty much as many leaves as you will see plus the way it's set up will cause the leaves to separate from the tree so they will self decay. This is after several trees have been harvested.. This is the containment/organizing area.. ( I modified it a bit prior to the video due to size issues-SEE VIDEO FOR SEMI FULL and ORGANIZED tree blocks ) And Honestly that back wall is kind of unnecessary unless you want a couple more rows of wood trunks. But It can do without it and it really is better off..without it. 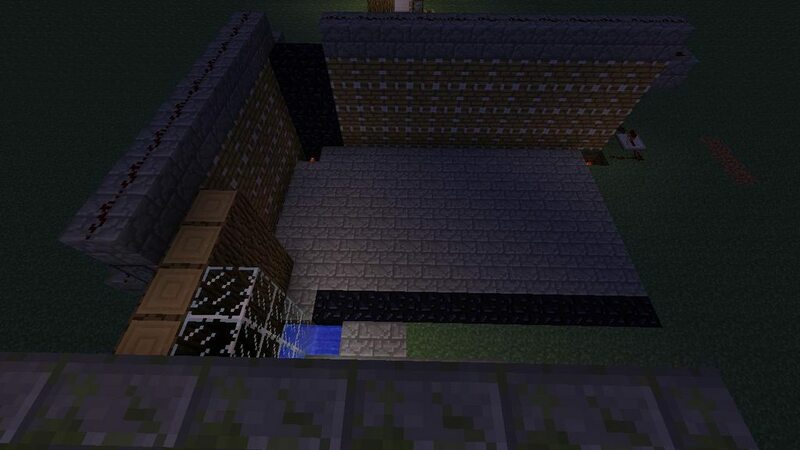 This is the inside where the tree will grow. 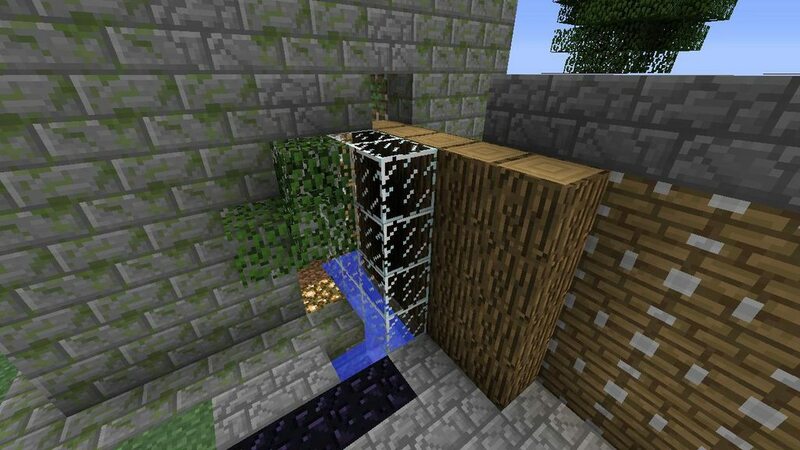 Of course pushing/pulling pistons are in display and you can see the piston in the wall that is acting as a BUD switch when the tree grown it activates the whole thing automatically. This is the inside. (very important! it has to be covered in glass to hinder "freak" tree growth. Keeps it at a steady 4 block height. Very rarely 5, but there is pistons meeting that height...just in case! This is the device with no trees as of yet. This is the area completely Full. Total of 484 blocks. The pistons simply can't push anymore so that's when you know you are ready to chop them down. This is the Video! (Sorry it's off my Galaxy Tab 2 10...better than a phone I guess... Plus what normal person has an PVR!? 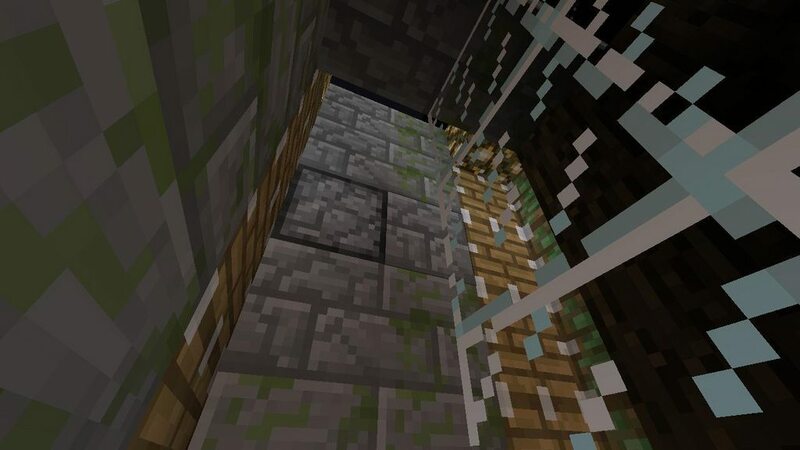 As you can see the dimensions allow for a pretty good job at not overly wasting bonemeal.. and it is only designed to work properly with oak. Ooops sorry there.. should be public now. Thanks for the heads up! It's a sweet build, but I honestly never saw a real use for such a thing. I know right! Yeah it is not the most practical thing in the world. But like right now Im on an online"server" which condensed space def helps.. So it could be implemented in that kind of scenario. thats funny, looks just like mine i posted a few weeks ago, even built from the same materials and layout, even has a bud switch !! I saw yours as I was getting ready to post mine yesterday. 1. 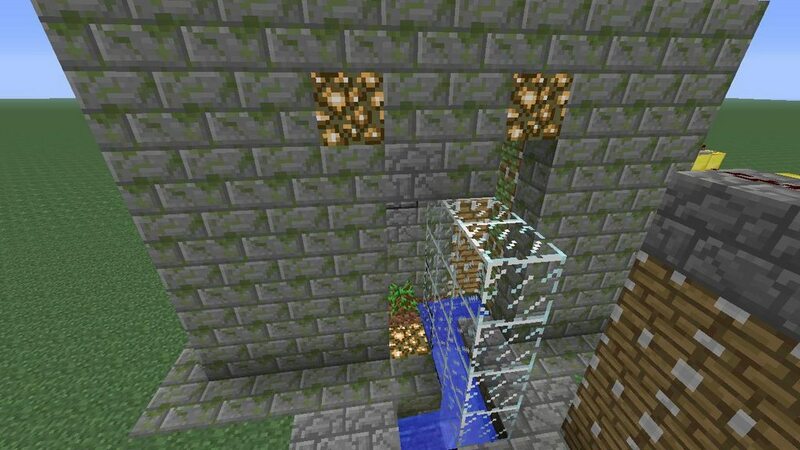 I love using mossy, just because its not the most readily accessible block on survival.. plus it looks cool! 3. Of all people you who were told that yours was a rip off of someone else's shouldn't be trying to do the same. And not to be a ***** but your design is horrible. It has all the problems my earlier model had.. Freak tree growth, excessive redstone resources used, and no attempt at compacting and hiding the design. As you can see from my video everything was taken in to account . The growth and tree size is controlled the way the tree is taken causes auto leaf decay.... believe me none of those factors can be taken from yours. But good job again! It was a good attempt. Though I could of posted something similar to yours months ago..
and seriously im sick of ppl saying others designs are crap or horrible, who are you to say whether its good or not ? 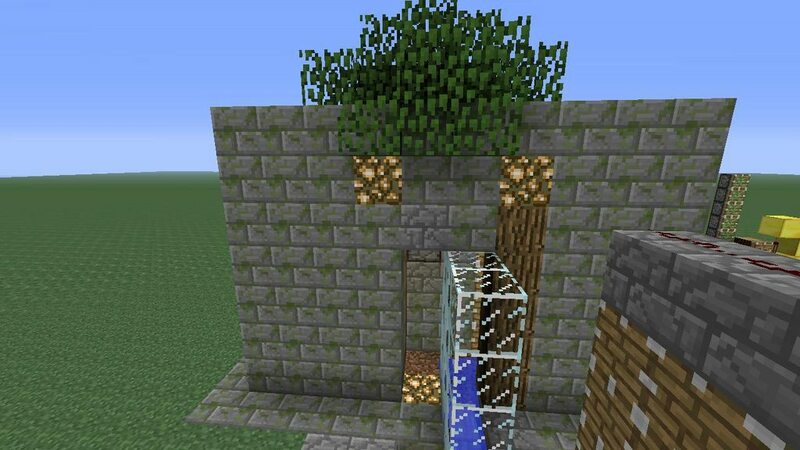 the one i built there is in my test world, ive since compacted it in my survival world just a few days after, but didnt show it cause im sick of idiots like you who have nothing better to do than put others work down !! jesss i wasnt born on a banana boat !! Yes I saw yours yesterday... I have no reason to lie, and honestly you can't take any of the design aspects(bud switch,wood output) from your design..... the pictures are too dark.Plus! if I was trying to directly rip yours off don't you think I would of changed the blocks at least ? ...... Again I can see how you'd like to believe that I somehow just copied yours but I did not. I finally decided to put mine up after I realized powered rails could help me condense my design and make it presentable. Again I've had this design in a rough state for months. Just simply didn't want to post it because it was too sloppy..
Then I saw a video about how powered rails act like glowstone lamps and Eureka! I was able to condense it. something isn't fully yours simply because there is something similar out there.. Again I just saw yours yesterday. I even commented on another post about tree farm that askd if anyone had completed one. and i simply typed.. "done". As you can see I made clear mention of my already working tree machine. Which was made pre 1.8.2 update. But I'm done!... Hope the rest that see the harvester enjoy it and thanks for checking it out! I, for one, believe yours is original, (as far as you and I know) or at least not wolfeuk's design, that much is obvious. Tree farms are extremely simple machines with a dedicated task. As a result, all of them are going to look similar. And I would bet that at least one person out there has built a tree farm at least 90% tantamount to yours, if not perfectly identical. Don't take this as an insult, it's simply unavoidable when building a specific-purpose machine with specific-purpose conduits. When you build more universal machines with general purposes in mind, you can really show off that creativity and avoid folks who would call you a copycat. Haters gon' hate. EDIT: Just as an extra example of the "nobody's perfect" theory. 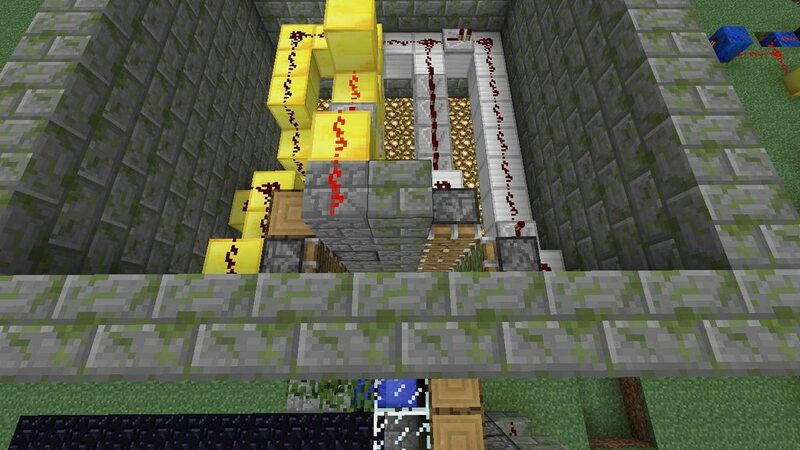 I have also designed a mechanism that I later discovered to have originally been built by someone. It was a D flip flop, very serial bus friendly, utilizing an infinite repeater loop as the actual latch. The system was inverted, a torch on the side of the writing bus acting as input with a repeater set one meter above and aiming toward the loop. Writing was performed by a piston moving a block in front of aforementioned repeater, allowing a high signal to pass into the loop if 0, (remember, data is inverted within the mechanism) and respectively, it would just break the loop when writing a 1. Taking advantage of blocks under repeaters not being powered, a block with dust was placed below the block that the repeater (in the loop) was outputting to. Then a torch was placed on the side of the block the repeater was on, inverting the data once again back to its original state. From there it was easy to add a control bit on the opposite side, why I did it this way will soon become obvious. That torch would output to a reading bus below it, by the way. EDIT: Just as an extra example of the "nobody's perfect" theory. It would take nothing at all. 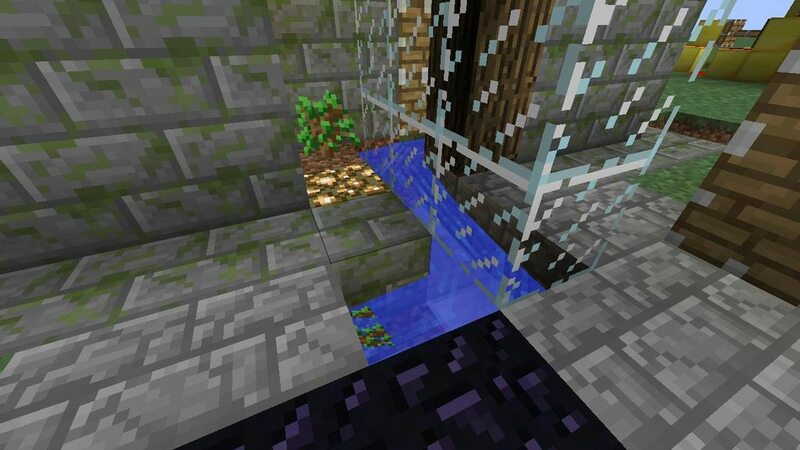 I'd have no problem either letting you in my map and checking it out as a reference or helping out to build it. GLad you liked it!! Didnt take very long did it? 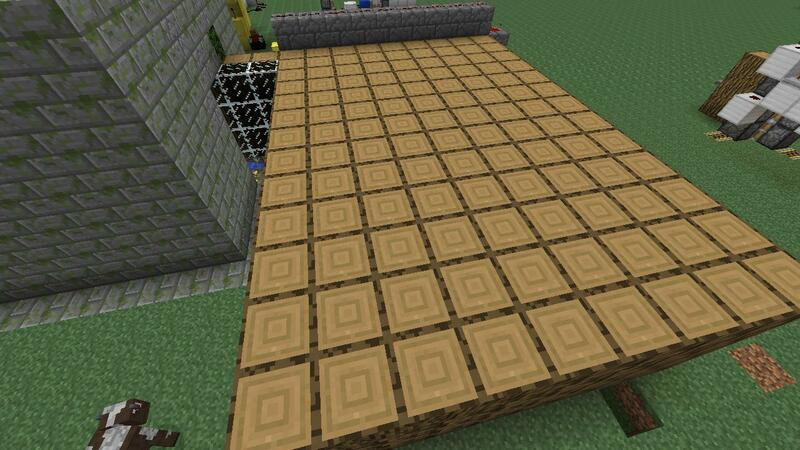 Though this design is compact, it uses alot of bonemeal per tree due to 'restricted tree growth'. Also there's a chance that if a oak tree is used without limiting the growth height of the tree that a big tree could grow and cause a real mess. I have made this on the Xbox but since then I have made some pretty drastic changes to the way it works, by implementing a 'repeat sequencer' and tripping the latch when the sand falls below a certain level, rather then having the latch reset itself. It is awesome but far too convoluted.. And as I saw a couple videos with the design you you showed, bone meal is still not a one shot hit. Again though, seen it before and it's awesome indeed. It depends on the type of tree you grow, i use this alot in my world and grow birch trees with it with a 1 shot bone meal every time. It also grows oak and spruce with a 1 or 2 shot at most. Any chance I could get some instructions on getting it to work on Xbox? I can't place red stone on glowstone so I'm assuming that's where my problem is. Any help would be greatly appreciated.